Fantastic photos every day of the year , keep your eye out for the dog he gets in the pictures all the time. There are high mountains all over Izu and these swing the winds around a bit. It is close to the bottom of Izu and picks up swells from the SW to the East - It really needs a Typhoon or solid swell. Most of the pictures taken are good solid head and over size days. 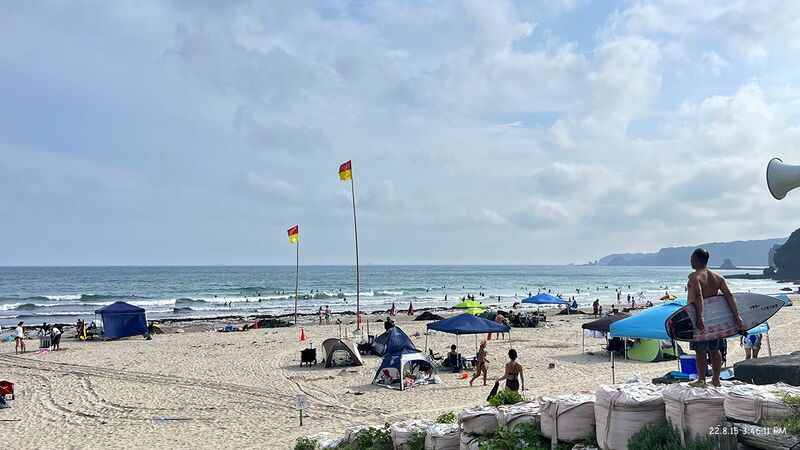 Notes:This is one of the most scenic beaches you will find in Japan and with toilets and hot showers on the beach you can park up and stay a whole week easy. Although around Golden Week (April May) and Obon Week (August) - National Holidays, it can get very very busy. In addition to chasing waves there are many things to do around the area, for example; Exploring Limestone caves, Sand boarding, Mountain biking, Water-fall jumping and to top it off the water is crystal clean and the snorkeling is awesome. Izu is famous for scuba diving and there are many shops and charter boat operations catering to this. Iritahama the beach next to Tatado-hamma. A great place to park up and camp right on the sand (nearly) Its a bit tricky to find but if you do, you will have a great time. Free Shower and Toilet block on the beach. We have stayed here for more than 10 days at a time and it is as close to camping in Europe as it gets, park up, deck chair out and enjoy the beach life. Perfect. 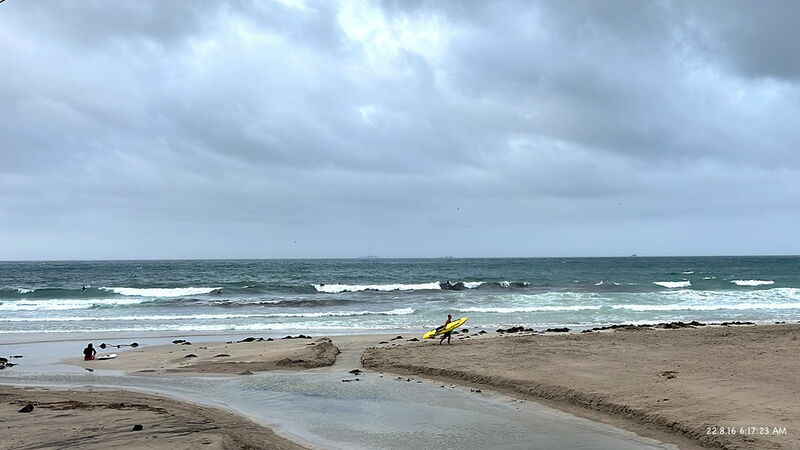 Seasons: Best seasons are winter through spring, the area does pick up any hint of south swell so storms that blow through will bring waves and of course TYPHOONS. Parking: Free all year in the main beach car park but this fills up quick, lots of ¥ 1000 per day parks. Food and Accommodation: Stacks to chose from hotel wise but highly recommend sleeping in the car or camping on the beach. Round trip from Tokyo: 2600 yen Tolls and 147Km Tomeii Express way then local route 1 along the beach road. Or take the Izu Centre Turnpike Road from Numazu which is the Inland road. Travel over night is about 3.5 to 4 hours daytime can be as long as 8 with Crazy amounts of traffic. Local Vibe: A very friendly beach all year round.